So, I'm having some more frickin' bank problems. It would appear that you cannot wire money into a Postal bank account. I'm not 100% sure on that, but I'll find out tomorrow and I'll let you guys all know. In other news, I went to the Ramen Museum, which was much more fun than one would think, as it was a complex set up and decorated like the 1940s backstreets of Tokyo, complete with air raid sirens that go off at certain intervals, and they have delicious ramen of all different sorts. I even tried Curry flavored ramune (like a soda), and it wasn't terrible. 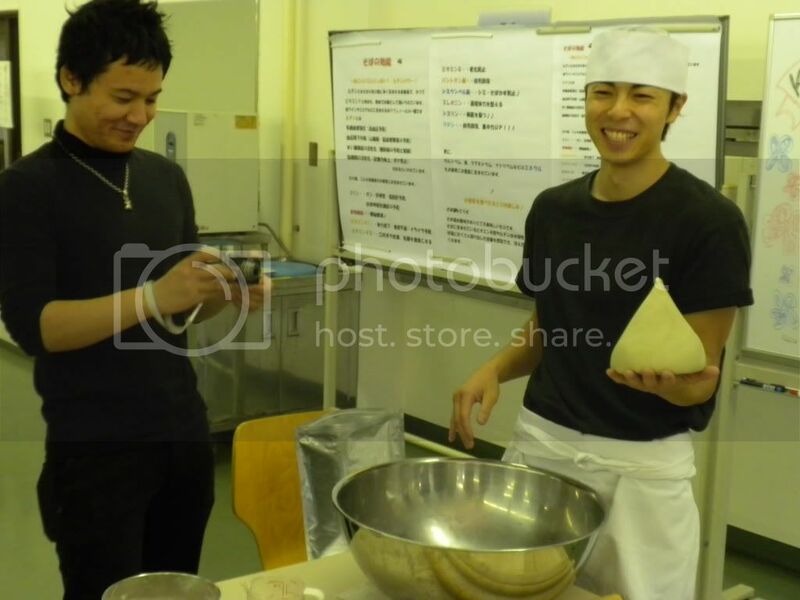 Also, we had a get together at the school where we all helped handmake soba noodles, and a rather dashing young soba master let me roll and cut my own soba, and I didn't do half bad. My only regret that day was not dressing up, so I was stalking around like a lumberjack, looking like a troll. Even so, fun times and I made a few Japanese friends (one of whom works at Disney Sea!). Anyways, after this I'm going to upload some Soba-making pics, and I'll talk to you cats later!